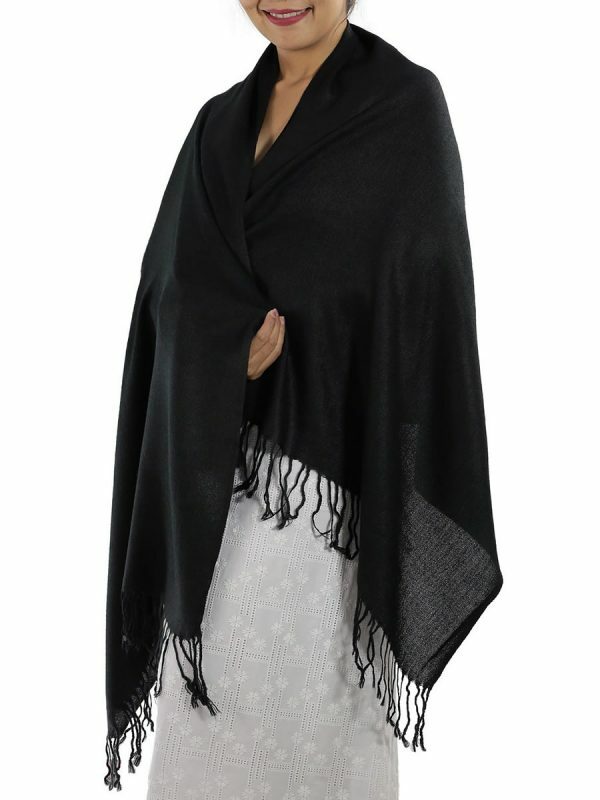 Combining the softness of cashmere with the lustre of silk, this traditional Black Pashmina Scarf is a truly beautiful addition to any wardrobe. 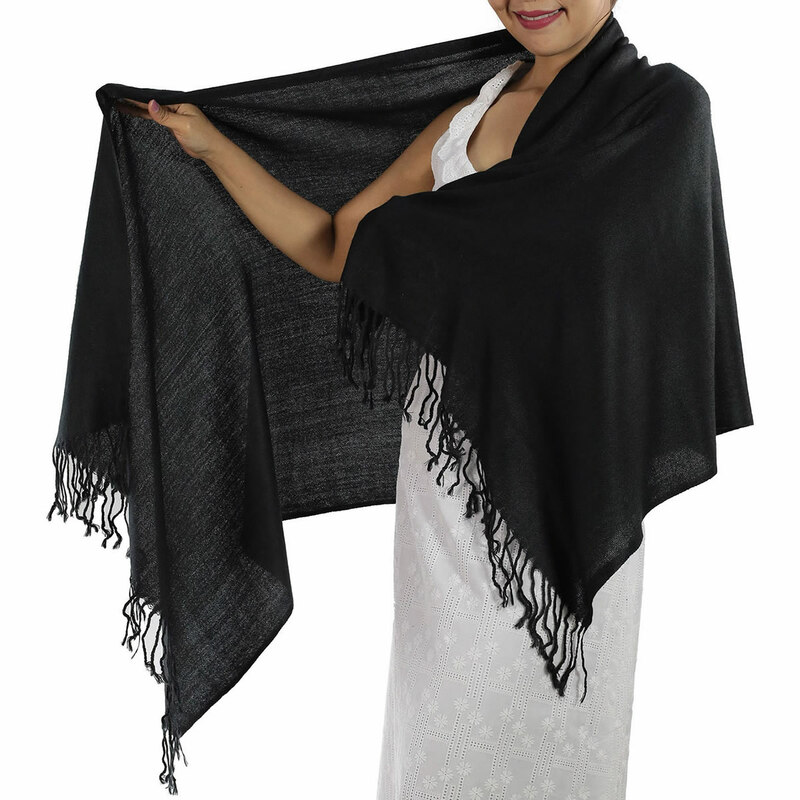 Radiant with colour and luxuriously soft and light, this Black Pashmina Scarf will take you right through the year in timeless style. Simply pair this Black Scarf with your favourite outfit for a beautiful style that will make you the envy of friends and family. 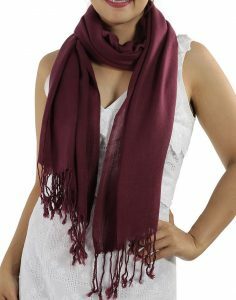 The luxurious colour of the Black Pashmina Scarf will instantly brighten your look and spice up the other colours of your outfit. 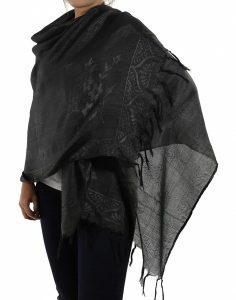 If you are looking for preternatural comfort and warmth in order to buttress yourself against the coming winter without breaking the bank, you need look no further than the sublime black pashmina scarves of thaisilkandscarf.com. 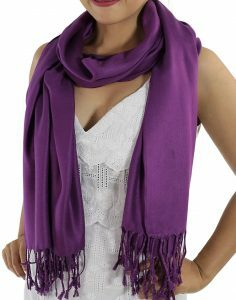 And since the practical versatility of a black pashmina scarf is only limited by your imagination, you can use it to highlight various aspects of your body or personality. 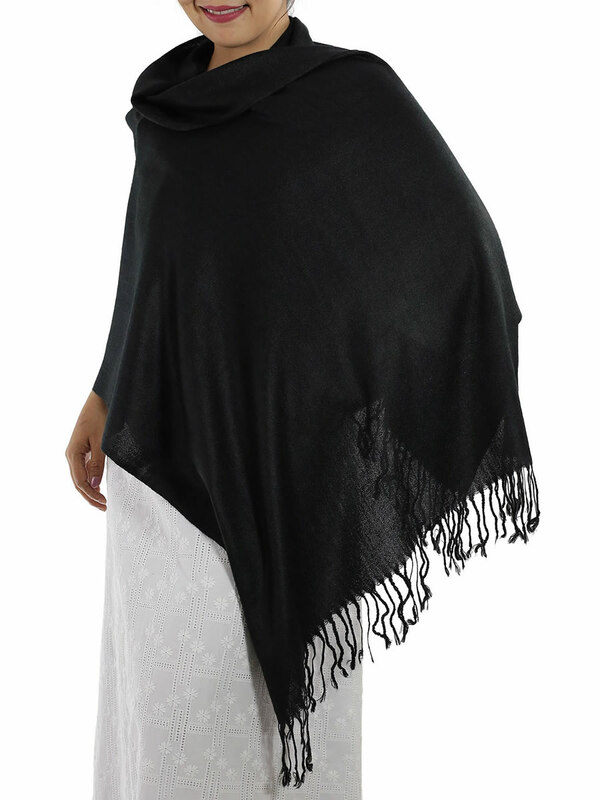 The pure elegance of a black scarf cannot be completely described- it must be seen and felt. 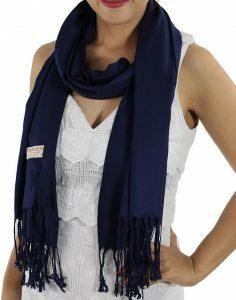 It strikes a delicate balance between fashion and function allowing you to keep substantially warmer by protecting your neck from the harsh elements of winter and serves as a major focal point for a variety of ensembles. 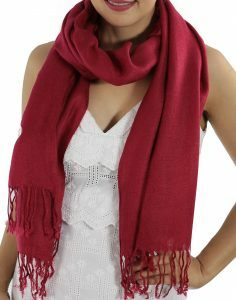 Wearing a supple black pashmina scarf tied around you in a ‘twisty scarf loop’ knot might make you feel like a movie star while running errands as passers-by wonder aloud where did she get that scarf? And just think of the covetousness in their hearts when you tell them northern Thailand. You can also just twist it into the simple ‘slip’ knot on your way out the door if you notice there is a lot of wind or wrap it around yourself in a ‘double loop’ to provide some coverage over a sleek evening dress. 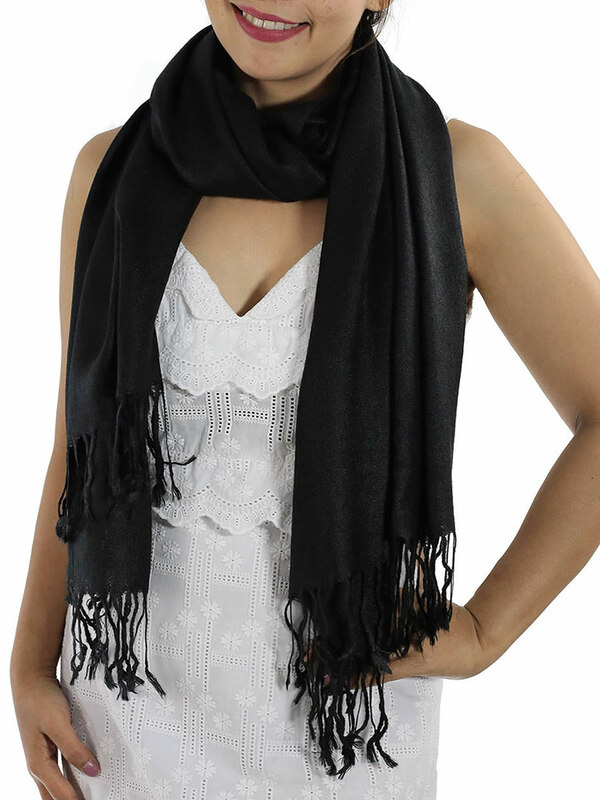 A black scarf fits every situation from the routine to the extravagant. 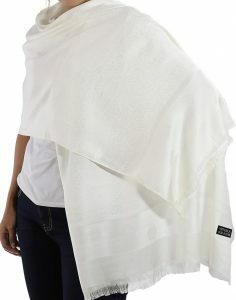 Thaisilkandscarf.com is a reliable family wholesaler from Chiang Mai that can deliver the epitome of couture that is a midnight black pashmina scarf within ten days of ordering and at a price that your friends will never believe. 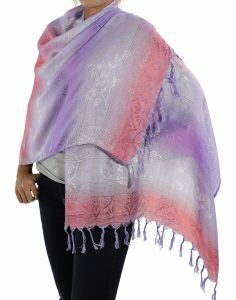 Or, if black isn’t for you, there is a comprehensive array of colors to choose from, all of which will have you feeling like you been wrapped in the loving embrace of a dear friend because of pashmina’s utter lissomness.